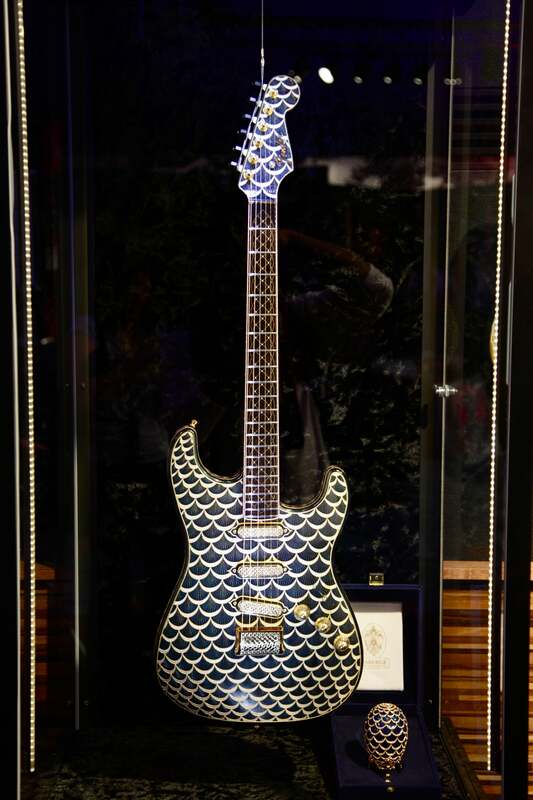 NAMM2015 Strolling through the Fender booth at NAMM left us with our jaws on the floor when we came across this diamond encrusted Stratocaster masterbuilt by Yuriy Shishkoff! This amazing piece of art features top-tier appointments that o say the least, set this instrument apart from the rest. 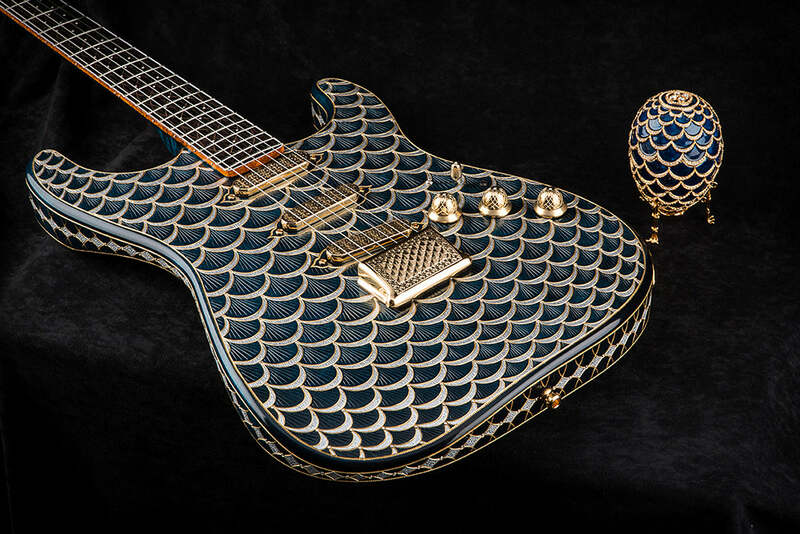 The Fender Custom Shop is proud to announce Senior Master Builder, Yuriy Shishkov’s latest masterpiece – the handcrafted “Pine Cone Stratocaster” guitar modeled after the antique “Pine Cone” Easter Egg made by Fabergé in 1900. 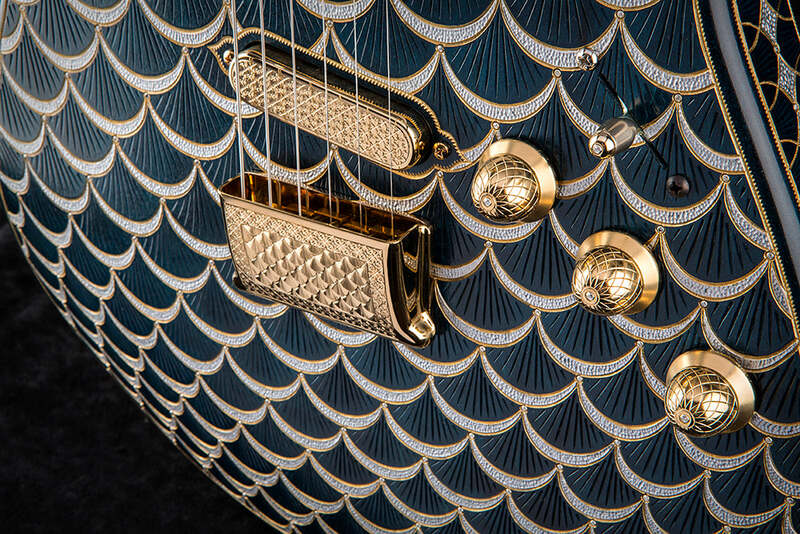 This exclusive one-of-a-kind guitar features 550 high-quality diamonds, 10 feet of 18 karat gold adorning a flawless single-piece maple body and exhibition grade bird’s eye maple neck. 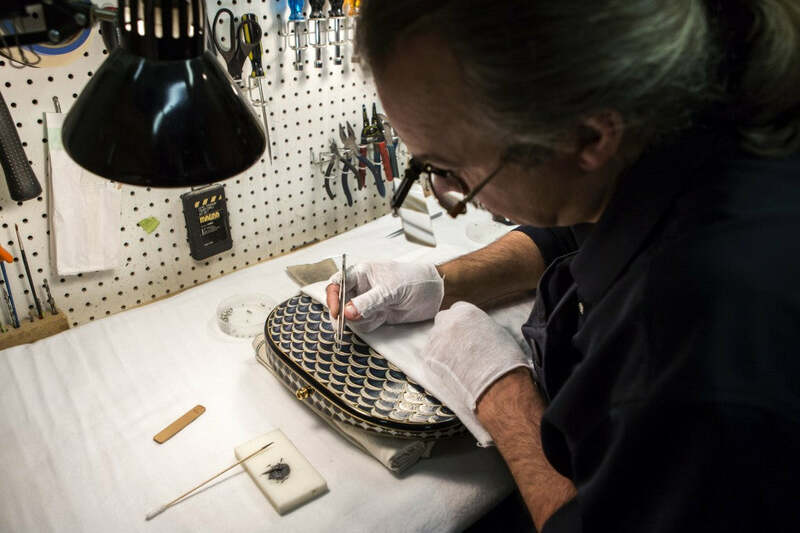 The body artwork design was created in a 3D format and projected onto the guitar before it was hand-carved to produce the sphere surface effect of an egg. 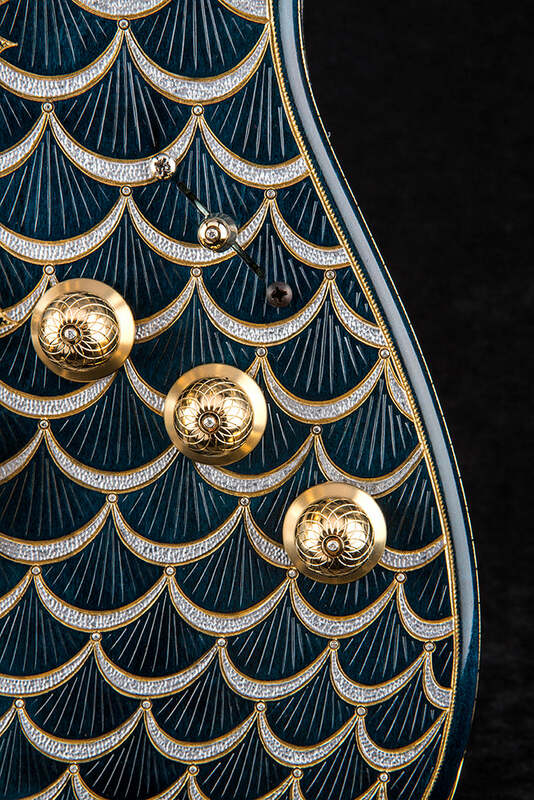 If all the scales on the guitar were extended beyond the instrument’s contour, they would create a perfect “egg” shape. 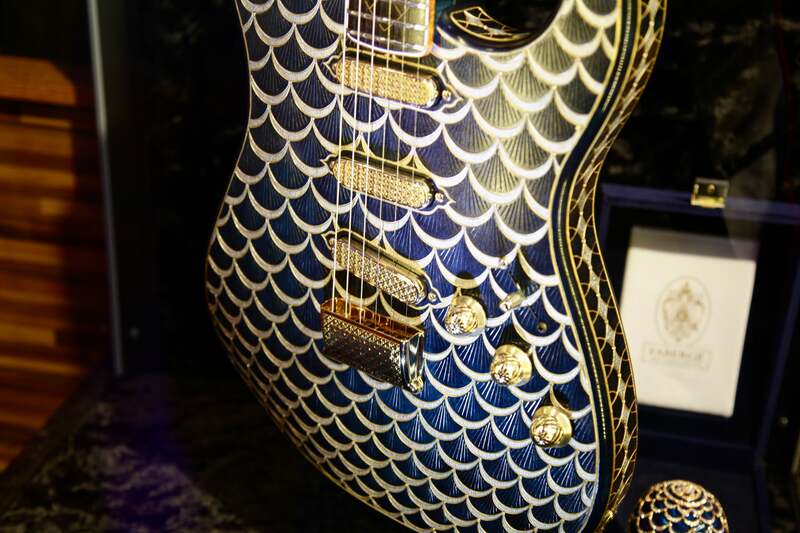 The blue hand-stained “multi-composite” finish was specially invented for this particular guitar to recreate the “egg-like” appearance. 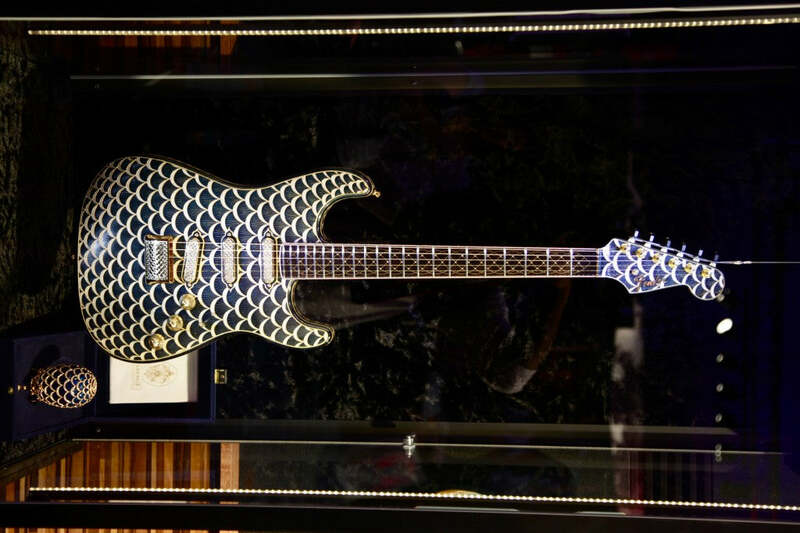 The guitar’s hardware was hand engraved; the knobs and switch tip were custom designed at the Fender Custom Shop and crowned with diamonds. In addition, the “Fender” logo on the headstock is made of 2mm gold plated solid silver; the fingerboard comes complete with inlaid diamonds and 10 feet of 18 karat gold ribbon wire inlay, and is finished with a gold-plated nut. The “old stock” pickups were hand-wound by legendary Fender Custom Shop pickup winder, Abigail Ybarra, and feature “encapsulated” pickup mounting, a never before seen technique that eliminates additional routing and leaves more “real estate” surface on the guitar’s body for additional artwork. The “Pine Cone” Stratocaster will be accommodated with an authentic limited edition Fabergé Easter “Pine Cone Egg”. Both the guitar and the egg have matching serial numbers (0074). Like the original antique egg, it has a surprise miniature “Elephant” inside. 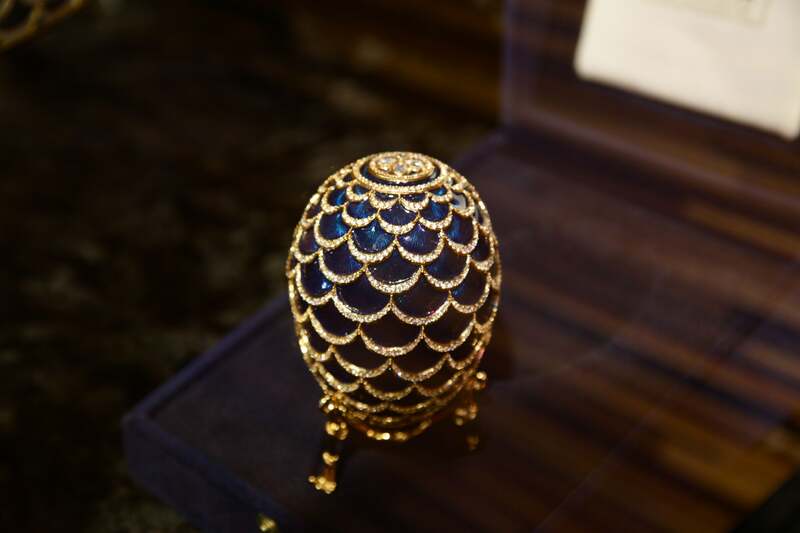 In addition, the egg has been signed by Maison Tatiana Fabergé. 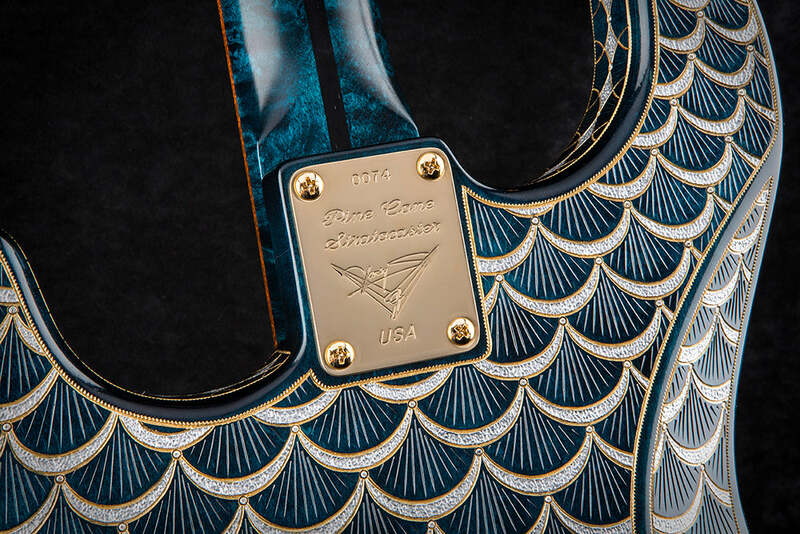 The guitar comes complete with a custom carrying case, a hand-tooled blue leather matching design custom strap and lighted display case.